Droid Life has broken some major news on what we can expect from Google’s upcoming Oct. 4 hardware event in San Francisco. While the Pixel 2 and Pixel XL2 phones may be the centerpiece of the celebration, the now-outed Google Pixelbook is what we have been most excited for around the Chrome Unboxed office. We are very anxious to see how Google presents the new Chromebook that tops out at almost $1,800. That’s not the only trick Google has up their sleeve, apparently. Along with the “accidental” leak of the new Pixelbook, Droid Life was also able to grab some information on a new Assistant product, the Google Home Mini. The aptly named Home Mini is clearly a direct competitor for Amazon’s Echo Dot that is home to the Alexa smart-assistant. Priced at $49, the Google Home Mini will likely offer the same experience as the original Google Home minus the decent speaker. 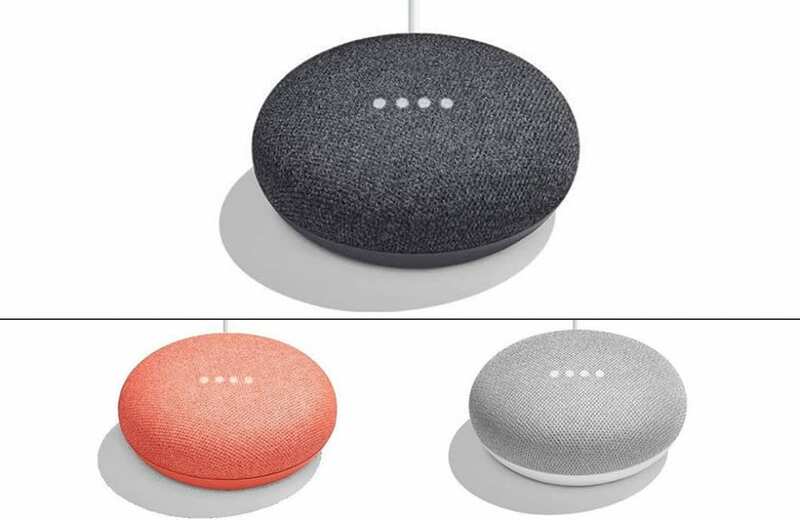 You can see from the images above, the Mini looks like a compressed version of the Home speaker and comes in three colors listed as Chalk, Charcoal and Coral. The Coral and Charcoal have matching bases while the Chalk or white Mini shares the same white on gray combo as the full-sized Google Home. From the leaked image, it looks like the Mini will be a wired device and presumably will work in conjunction with other Minis, Google Home and cast-enabled devices. We still have a sneaking suspicion that Google may offer up a rechargeable variation of the original Google Home but as you can see in Robby’s article, it wouldn’t take much to make that a reality so the likelihood of a leaked image is scarce. With just two weeks before Google’s official event, we could see more online sightings of these devices and accompanying accessories. We will be on the lookout for anything new. If you stumble across anything, drop us a line.